Brenda was been invited to participate in the "This Great Earth" Exhibition at the Jersey Shore Arts Center in Ocean Grove, NJ from June 4 - September 8, 2017. The three pieces she had available to show happened to be all winter scenes -- to be displayed at the beach during the summer. Nevertheless, the Jersey Shore Arts Center awarded Brenda the "Distinguished Painting Award" for all three pieces. "High Desert Winter", oil on linen, 20" x 24"
"Along the Eagle River", oil on linen, 8" x 10"
"Bright and Fresh", oil on linen, 9" x 12"
Brenda's painting "Birds of a Feather" was selected inclusion in the 2015 Richeson75ONLINE Animals, Birds and Wildlife Show. The entire show can be seen at www.Richeson75.com. Birds of a Feather", oil on linen, 20" x 40"
The United States Ambassador to Fiji, Kiribati, Nauru, Tonga and Tuvalu, Judith Beth Cefkin, has requested that two of my paintings be included in the Art in Embassies exhibition in Suva, Fiji during her tenure there. I am honored that Colorado Blues (a view of the Blue River north of Frisco) and Rustling Autumn (a view of autumn aspen in North Park) will be representing Colorado for a time on the far side of the world. Ambassador Cefkin sent me a gracious note to thank me for the loans and to tell me that the pieces are now hanging in her official residence in Suva, Fiji as a reminder of her roots growing up in Colorado. As of April 2018 these paintings have been returned to me after Ambassador Cefkin's tenure expired. 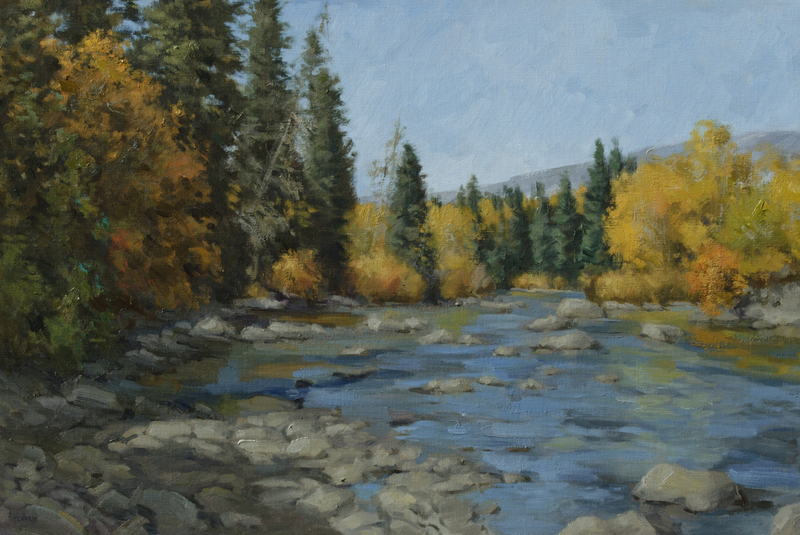 Colorado Blues", oil on linen, 20" x 30"
Rustling Autumn, oil on linen, 40" x 20"
The August 2014 issue of Southwest Art Magazine featured Brenda in its "Artists to Watch" section. 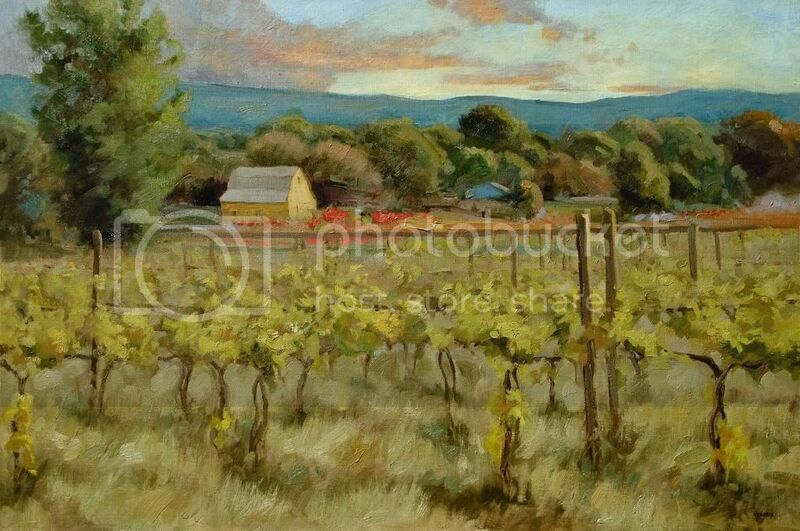 I am very pleased to announce that my painting, "Wine Country", has been selected to hang on loan in the United States Senate offices of Senator Michael Bennet, of Colorado, for another year through September 30, 2018. This is the fifth year running that my work has shown there. In the first year my painting "Rawah" was selected, as well.